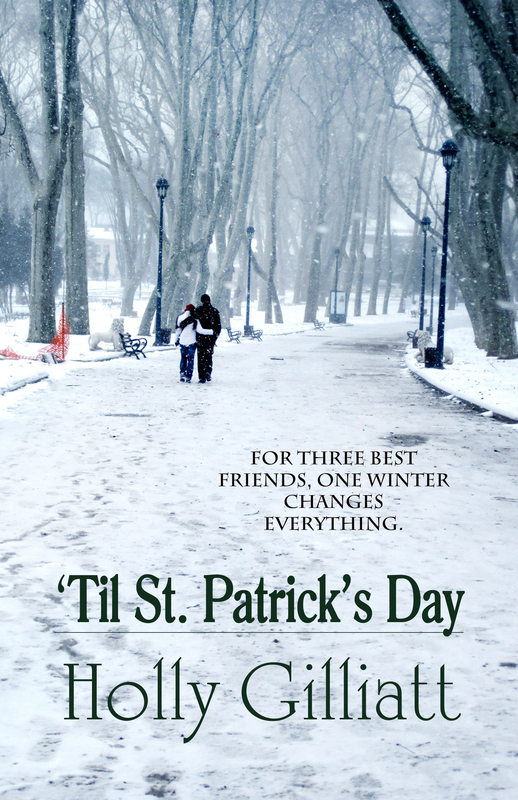 Tuesday’s Revolving Book is the chick lit novel “Til St. Patrick’s” Day by Holly Gilliatt. For three best friends, one winter will change everything. Chronically optimistic Jayne is surprised she’s still single at twenty-eight. But as always for Jayne, there’s hope. This time his name is Gray—a successful, gorgeous marketing VP that she can’t believe is going out with her. She’s never given up on the belief that the right man for her is out there. Maybe Gray could be the one…if she just works hard enough to make it happen. Her cynical friend Karen is suspicious of Jayne’s new guy with his model looks and over-inflated ego. She’s concerned for Jayne, but has her own relationship to worry about. Not that anything’s wrong with her boyfriend. He’s actually perfect for her, which is why she’s terrified. Not sure she can ever fully trust a man again, she considers bailing on yet another relationship. Claudia is always there for her friends, mothering them like the children she craves to have. Happily married, Claudia anxiously awaits the day her husband finally agrees it’s time to start a family. ’Til St. Patrick’s Day is a novel about the depths of friendship and what happens when love doesn’t go according to plan. When she’s not busy daydreaming of someday spending her life writing from a cozy house in the woods, Holly Gilliatt has a hectic life in the suburbs as a wife and mom to three glorious–and crazy–kids. Working full-time selling packaging supplies and equipment in St. Louis, Missouri pays the bills (most months). A hopeless romantic and music addict, she finds time to pursue her passion for writing by avoiding housework. Her biggest ambition is to someday be caught up with the laundry.